Wednesday, June 29, 2016 we celebrated at The Country Club in Woodbridge, Ontario. 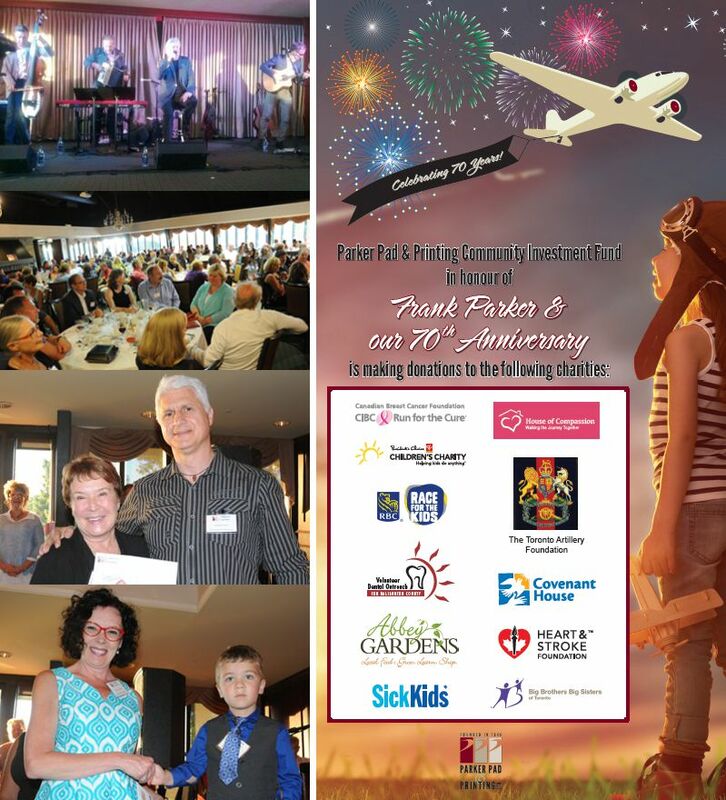 Our day included Parker Pad’s annual golf tournament, reception and dinner, the John McDermott TRIO in concert, community donations and fireworks at dusk. In honour of Frank Parker Jr. on the first-year anniversary of his passing and in celebration of our 70th anniversary we formed the Parker Pad & Printing Community Investment Fund to support many charities our customers support. Thank you to over 200 guests including customers, suppliers, staff, friends and family members who made this day a remarkable celebration. Each received a commemorative brochure marking Parker Pad’s milestones, a John McDermott TRIO CD and in recognition of our history, a Lucite Embedment containing an original piece of moveable type from our printing museum.